Fancy owning a piece of photographic history? Have a soft spot for Leica film cameras? 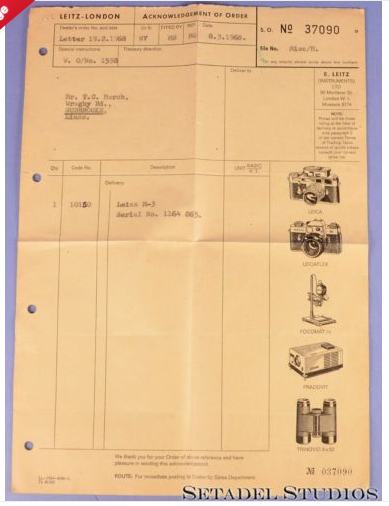 If the answer to all three of those questions is yes, then allow Kosmo Foto to be the messenger: the very last Leica M3 ever produced is up for sale, along with its box, accessories, and a host of documents proving its provenance. The price? A touch under $500,000, since you’re asking. The camera has been offered for sale by Setadel Studios from North York, Ontario, Canada for $495,000 (£378,000), after having first been offered up for sale last summer for $595,000 (£455,000). 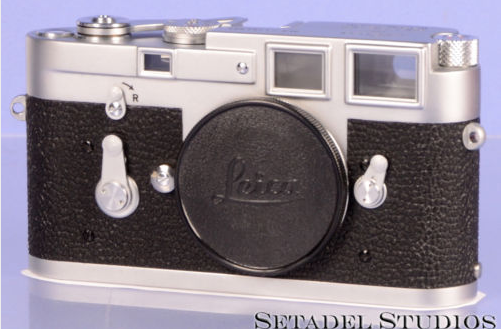 The listing reads: “The last Leica M3 and “newest” Leica M3 made. Production serial No. 1164865. Unique, rare, outstanding and spectacular in every respect! “From the last and smallest batch of 20 cameras made in 1966, this being the final and last camera of the production line and the final termination of the greatest rangefinder camera ever made if not the greatest camera ever made. “A true historical find and in new condition, never used, in new condition as it left the factory more than 60 years ago! “With the original matching serial No. service card and (red + white ) rope that came with the camera, box, foam fittings, caps and all new condition with the original untouched “L” seal. The Leica M3 was introduced in 1954, and 226,178 of the cameras were built before production ceased in 1966. The M3 gained particular notoriety due to its use by many combat photographers in the Vietnam war, aswell as its use by Magnum photographers such as Henri Cartier-Bresson and Rene Burri. The price may seem eye-wateringly steep for those who don’t subscribe to the cult of Leica, but as Setadel Studios pints out, six-figure sums for Leica M3s are not out of the ordinary. “There are few historic production Leica M3 camera. The 1st, which was sold and discussed above, along with serial No. 1000000 which was also sold for €840,000 on March 2013.